Holiday Gift Guide 2011: Gifts for Foodies | | Oh, Ranger! From authentic mountain fare to handmade tools, we've gathered a collection of tasty treats and campfire accessories that are sure to satisfy any of the foodies on your holiday shopping list. For more great gift ideas, check out our full 2011 Holiday Gift Guide. Nothing says "holidays" like the smell of chestnuts roasting over the open fire, and with the right tools, this seasonal tradition doesn't have to be a custom of yesteryear. 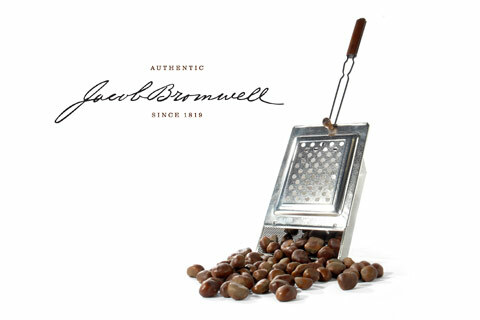 The folks at Jacob Bromwell have been making sturdy campfire cooking accessories for more than 190 years, and their Signature Chestnut Roaster is no exception—it's handcrafted in America in the same style it was by frontiersmen in the 1800s. Grab one for someone on your list who appreciates good taste, adventuresome cooking, fine craftsmanship, and above all, the sound of a chestnut popping over the open fire! Jacob Bromwell Chestnut Roaster; $44.99 at jacobbromwell.com. For the health-conscious gourmand on your list, get your hands on some nut butter from Saratoga Peanut Butter Company. Their peanut and almond butters not only incorporate heart-healthy ingredients, but also explore some amazing flavor combinations—making them a tasty and nutritious holiday indulgence. 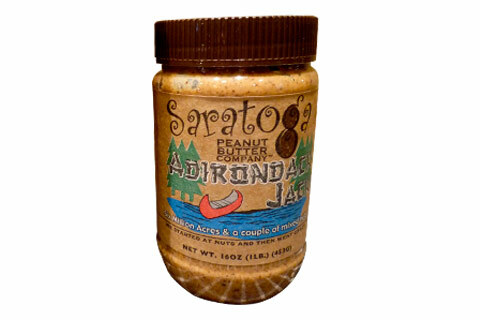 We’re partial to Adirondack Jack (a combination of delicious almond butter blended with creamy peanut butter, cranberries, flax seeds, sunflower seeds, honey and a hint of cinnamon), but the company also makes great seasonal specialties like Catch Me If You Can, with a holiday gingerbread zing, or Blizzard Butter, with swirls of white chocolate. Can’t decide? Go for the Sampler Pack, which includes Dark Chocolate, White Chocolate, Monkey Boy and Maple flavors! Saratoga Peanut Butter Company Nut Butters; $4.99 - $16 at yopeanut.com or at select New York State retailers. Give the gift of good, sweet taste with a pint of Smoky Mountains sorghum molasses. This heritage food is part of the Appalachian settlers' rich culinary legacy, and it's especially seasonal during the holidays. Apply liberally to hot biscuits for a traditional Southern treat, or bake it into gingerbread. It's a purchase that will benefit palate and park. 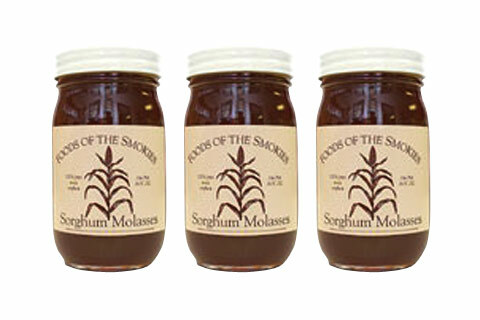 Foods of the Smokies Sorghum Molasses; $6.99 at smokiesstore.org.